What’s good? Despite the doubtful comments from most who’ve seen it, it works. 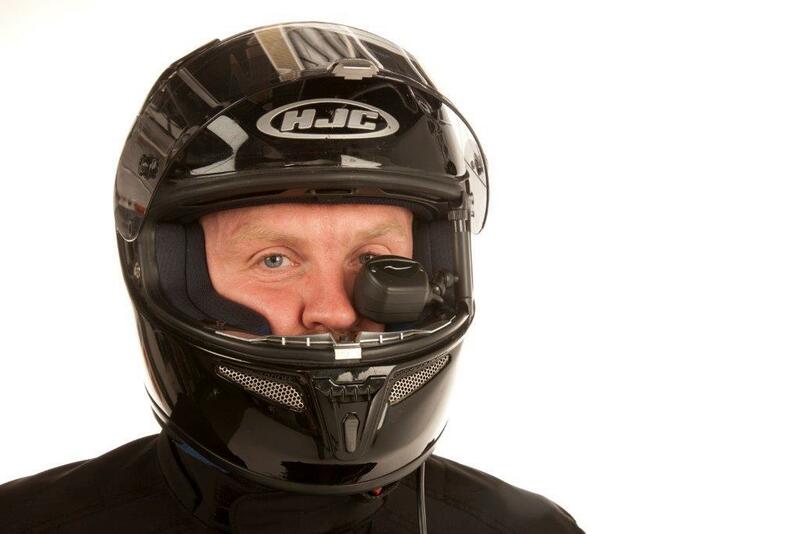 This is a small screen that sits just in front of the rider’s cheek and makes it a matter of a small flicker of the eyes to collect information like road speed, gear position, time and outside temperature. The digital speed display changes colour as it moves from 30mph to 31mph and then into 41mph, 51mph and so on, so you know from peripheral vision that you’re above a certain threshold. The screen can also flash to warn that indicators remain on and has an advancing block to show engine speed. There are selectable modes so you can choose what are the most important factors of information to you, such as having revs and gear more prominent for track riding. BikeHUD is also preparing a sat-nav option that works with a smartphone to provide route guidance. It comes as a two-part kit, with one part wired in to the bike and the other secured inside the visor aperture with an extending arm. If you’re prepared to have a small screen just in front of your face (man won’t be) this is an effective product. It’s particularly helpful for short or long-sighted riders who struggle to read the bike’s clocks as the screen has focus to infinity so it can be seen by all. What’s not? I have annoyances the manufacturers need to address. The helmet kit doesn’t fit all lids, and some customers have had to buy new helmets to work with BikeHUD. The bike kit also wouldn’t fit my Ducati Monster 1200 test bike properly and the bar-mounted control unit fouled the tank and needed mounting back to front, so I couldn’t use the buttons from the seat. The unit doesn’t communicate wirelessly to the bike and requires a cable from helmet to seat, which is an ungainly solution that feels restrictive on the bike. The positioning of the display also blocks my natural view of my Ducati’s left mirror, which means moving my head to see it rather than glancing across. BikeHUD is a bold innovation, but these problems all need addressing before I could think about using it full-time.